Life Story is a tale of survival, laying bare the extraordinary journey animals must make to achieve life's goal - to continue their bloodline. Whether learning new skills, finding a mate or protecting their young, everything they do is a way of meeting a particular challenge to that goal. Extreme circumstances can lead to extreme solutions. Discover how sharks help albatross chicks learn to fly, or why some chimps solve survival problems by making spears. Learn about the extraordinary construction skills of fish and the seduction arts of birds. Witness the devotion of mothers, the gang life of juveniles and the shocking tactics some animals use to eliminate their rivals. 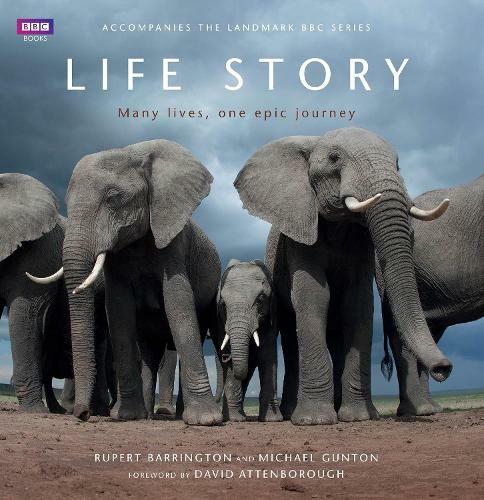 Packed with stunning photographs and spectacular stills from the landmark BBC series, Life Story is an unforgettable portrait of the natural world's most dramatic moments.